Please read the terms and conditions carefully before enrolment. 1.1 Courses are purchased directly from INSIGNES. 1.2 All online bookings must be confirmed by email. A 20% deposit of the total cost is required in advance to confirm the booking. The remainder must be paid upon arrival, and be completed by the first day of class. 1.3 A class/session lasts 85minutes. Lesson schedules could be adjusted. 1.4 After completing the level test, INSIGNES will group students into groups considered appropriate for their level. 1.5 If after beginning the course a student’s Spanish level is not appropriate for the course he has booked INSIGNES has a right to move him into a more appropriate group. 1.6 Group lessons may only be reprogrammed if the student’s agency are notified in writing (by email) 4 days beforehand. 1.7 Individual lessons may only be reprogrammed if the students agency is notified in writing (by email) at least 24 hours, or a whole working day before the time the class has been scheduled to begin. 1.8 In the exceptional case that that there is only one student enrolled in a certain level course, the number of lessons will be reduced by 50%, and by 80% in the case of 2 students. 1.9 The expenses of trips, food and additional entry payments (such as for museums, shows etc…) are only included in the price of the BORDADO DEAL course. Students who have booked other deals can enjoy the same activities by booking them at least 4 days in advance in the case of trips, or 24 hours in advance in the case of meals. 1.10 If a student reaches INSIGNES through an agency, it may apply its terms and conditions; INSIGNES has the right to apply our own terms and conditions. The academy closes on bank holidays, as well as Saturdays and Sundays. Nonetheless, as with the weekends , on any bank holidays that may occur during the course we will do a trip or cultural or sporting activity included in the BORDADO deal, and optional for the FORTALEZA, ADARVE and ALMENA deals, if booked at least 4 days in advance. The payment of trips cannot be refunded in the case that the student is not present at departure time. Please, ask and check about any possible bank holidays during your stay. 3.1 Lodging is booked from the Sunday previous to the beginning of the course, until the Saturday after the conclusion of the course. 3.2 Due to limited availability individual rooms in a shared apartments cannot be guaranteed until arrival. In the unlikely case that INSIGNES were unable to offer a single room, the difference in price would be refunded. 3.3 If for any reason (delayed flights and/or cancellations) a student is unable to reach the meeting point at the agreed time, he must organize his own lodging for that night, as well as transport to Lorca city. 3.4 A 60€ deposit is required for stays in lodging provided by INSIGNES, by credit or debit card when keys are collected. This will be refunded within 7 days after the departure, once the room has been inspected and the keys returned. – The room and shared areas are not left clean and tidy. – A student has been overly noisy for others. – A student has failed to return the keys. – A student has damaged furniture or facilities. – A student has smoked in the room or the apartment’s shared areas. – If a student has generally disrespected the rules. 3.6 students will be responsible for replacing any broken objects due to either negligence or misuse. If there is any damage which no one is directly responsible for the expense will be covered by all the students in the lodging. 3.7 Our philosophy at INSIGNES is based on respect, and we expect that same attitude from our students. We realize that differences and diversity enrich people, although exceptionally this could possibly lead to a case of students being incompatible to share an apartment; if this were the case INSIGNES has the right to change the lodging of students anytime, so as to make their stay more comfortable. 4.1 A 20% payment is required in advance to book the course. 4.2 The remainder will be completely paid on the first day of class. If this payment is not fully satisfied INSIGNES could cancel the programme, and the student would not be refunded the reservation. 4.3 Students who wish to extend their stay with INSIGNES would have to make the whole payment due the Friday prior to the start of their extension. 4.4 For more information and details about bank expenses and additional costs for card payments please see the Means of Payment heading. 4.5 A student’s name must appear on all bank statements. 4.6 Personal cheques are not accepted. 4.7 Amounts over 250€ are not accepted in cash. 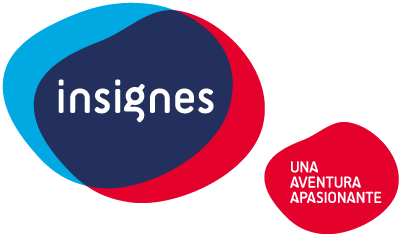 Call or email INSIGNES with he following information: the 16 digit card number, the card expiry date and the 3 digit security code. Please remember there is an additional 2% charge on payments made by debit or credit cards. An international bank transfer to our bank account in Spain. 5.1 Discounts cannot be accumulated or combined. 5.2 Discounts and promotional offers are only applicable when INSIGNES is informed before enrolment, and cannot be applied in retrospect. 5.3 Group discounts: to obtain a group discount from INSIGNES the group of students must consist of a minimum of 5 members (5% discount), or 10 members (10% discount). All of these must have enrolled at the same time, and must be taking the same course. The names of all members of the group must be stated of the enrolment form. At the time of enrolment INSIGNES will automatically subtract the discount from the students receipt. Group discounts are available for courses of any length, but not when a course is extended. If these terms aren’t met the Friend Discount will not apply, and could lead to modified receipts when these are issued. 5.4 Discounts are valid for 12 months following the date of booking, after which they expire. 6.1 Cancellations before arrival will only be respected by written notification (by email). Cancellations cannot be made by telephone. 6.2 In The case of cancellations made two or more weeks prior to arrival (15 days and over) 100€ of the advance payment will be kept. 6.3 In cancellations made during the last two weeks prior to arrival (14 days or less) the whole advance payment will be kept. 6.4 Under no circumstances will money be refunded once the course has begun (except in the case of a cancellation insurance). 6.5 In the case of a cancellation, INSIGNES standard prices apply. For instance if a student had received a discount due to the length of the course, it would be forfeited with the cancellation. 6.6 In order to conform to money laws, refunds can only be transferred to the person who booked/paid for the course. 7.1 INSIGNES has a right to cancel a student’s place in the course, if by the day of arrival the student or agency used has not completed the payment of the course, lodging and any other services purchased. 7.2 In the case of a severe lack of discipline, repeated misbehaviour or violation of Spanish laws, a student will be expelled from the school and lodging provided by INSIGNES, without any refund. 8.1 Medical: all students should arrange an adequate medical insurance cover for themselves. 8.2 Personal responsibility insurance: this is required of students staying in lodging provided by INSIGNES and is highly recommended for all students. 8.3 Civil responsibility: INSIGNES has an accidents and civil responsibility insurance policy which covers possible incidents or minor accidents that could happen at the school. 8.4 Personal property: INSIGNES does not accept responsibility for loss or damage to property, either in the school or in the lodging. In accord with the Spanish law, 15/1999, of 13th December, about the protection of personal information, INSIGNES states that all personal information it has will be saved on a data base (for which INSIGNES takes responsibility) and used solely for the commercial and work-related activities of our business. By accepting these terms and conditions one agrees to their use for the objectives here stated. The right remains yours to ask for information on how to access, rectify or cancel any of this personal information, according to the legal terms stated in the current law, by written request to this address: Calle Padre Azor, 4. Lorca 30800. Murcia – España. 11.1 INSIGNES has a right to enrol underage students. 11.2 In the case of third party damage, any claims against INSIGNES as a result of the incident will be charged to the student involved. 11.3 INSIGNES is not responsible for any third party opinions published about INSIGNES. 11.4 INSIGNES does not accept responsibility for any force majeure occurrences (according to law) or for student’s own actions. By booking or making any payment one accepts these terms and conditions.